What does $50 million get you in the brewing world? A lot. Guinness’ first brewery on America soil since 1954 (the 1954 brewery was a quickly shuttered facility in Long Island City, New York) just opened this week ten miles from Baltimore in Halethorpe, Maryland. 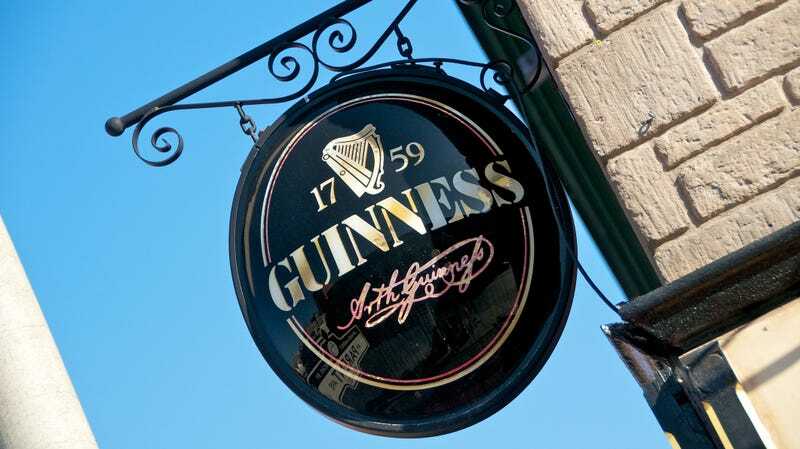 It’s touted as one of only two “experimental” Guinness breweries in the world. The other, naturally, is in Dublin. So what makes this new Guinness brewery so special—and so worth its price tag? First, it’s not just a brewery the way the quaint brewpub in your town is a brewery. It’s designed to be a tourist destination, much like the successful Guinness Storehouse in Dublin. You can take tours, of course, but the 62-acre site is meant to be even more than that: an all-day, sort of Epcot-of-brewing experience with a visitors’ center, tasting room, and a gift shop. It’s in line with “destination” breweries like Sierra Nevada’s $100 million beer palace in Mills River, North Carolina, which I have visited and can confirm is, in fact, destination-worthy. Second, it’s not about the stout. The beers most synonymous with Guinness (Guinness Draught, Guinness Extra Stout, and Guinness Foreign Extra Stout) will continue to be brewed in Ireland and imported to the U.S. The Maryland facility, dubbed Guinness Open Gate Brewery & Barrel House, will instead focus on styles you might not yet associate with Guinness: its Blonde American Lager, primarily. The current tap list also shows a Citra-hopped wit, an IPA, and a cherry stout that’s caught my eye. Different breweries can make beer on different-sized brewing systems. (Think of it like a chef choosing between a small pot and a giant soup cauldron.) The Open Gate Brewery & Barrel House has a pair of systems. The largest is a huge, 100-hectoliter production brewery where brewers will primarily make Blonde American Lager to be shipped across the U.S. The second is a 10-barrel experimental brewery, about the size system that your small neighborhood brewpub would have. That’s where brewers can play around with smaller batches to be served in the taproom. That small system will allow the Guinness brewers to try out new recipes without having to commit to a massive, 100-hectoliter batch. Third and most intriguing to me, the Maryland location’s barrel-aging program should be impressive. Guinness is touting the site of the new brewery which was once home to the Maryland Distilling Company. But it’s a present-day connection that has me most intrigued for the new brewery’s barrel-aging program: Guinness is owned by global spirits giant Diageo, maker of brands like Johnnie Walker, Bulleit, Crown Royal, Don Julio, etc. That, to me, signals the possibility for barrel aging on a large scale using the leftover barrels from those spirits’ production. After all, if you’re a brewer, having a distillery in the family seems like a sweet deal. I haven’t yet had the chance to check out the brewery, but it would be on my list if I’m in the Baltimore or Washington, D.C. area. A friend of mine actually visited the brewery this week; I can’t wait for him to get back to town so I can grill him about that cherry stout.